Jacksonville is Florida’s largest city by population, and it holds the designation of being the larges city by area in the contiguous United States. The city is known for its deep water port and two U.S. Navy bases, and is also the headquarters of four Fortune 500 companies: CSX Corporation, Southeastern Grocers, Fidelity National Financial, and Fidelity National Information Services. 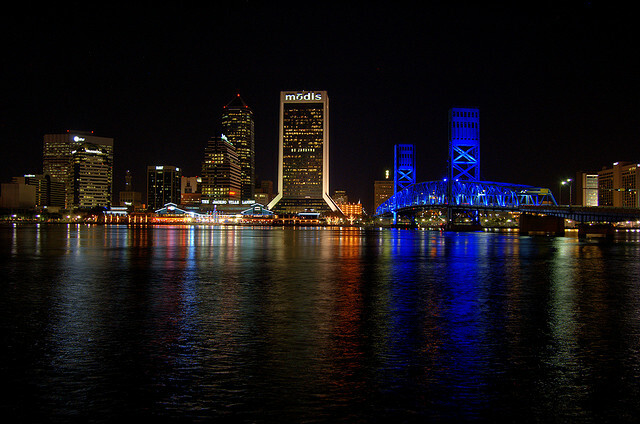 Jacksonville is also a popular tourist location with nearly three million visitors annually. Home sales in Jacksonville are reaching high levels the city hasn’t seen in years. Jacksonville’s existing home sales are up 10% from the previous year, and the median sale price has increased by more than 10% as well. Market experts continue to be optimistic about the future of Jacksonville real estate as REO inventory comes off the market and first time home buyers join the marketplace again. With a hot home sales market, you’ll need a qualified real estate expert by your side whether you’re buying, selling, or investing. We’ve found 15 of the best Realtors Jacksonville has to offer: real estate professionals with experience, awards, and satisfied clients. And while any one of them would be a great choice for your next real estate transaction, we want to know which one is truly the best of Jacksonville. That’s why we’ve included a poll at the end of this article. Please vote to tell us which Jacksonville realtor you think is the best! But don’t delay, as the poll closes in 30 days. Howard Flaschen is a former regional trainer for one of the largest home builders in the country. He is an experienced Realtor and is often recognized for his excellence with awards from the North East Florida Builders’ Association and a contribution to the Tough Market New Home Sales book. Flaschen takes a solution focused approach to clients and is always ready to listen and work to understand what they need. 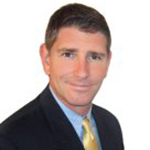 Clients say he is respectful, no nonsense, and shows great knowledge of real estate and the Jacksonville area. 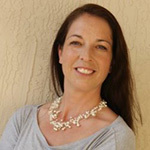 Amanda Searle has been a Jacksonville Realtor for more than 10 years. 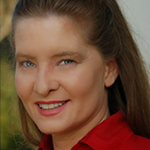 She specializes in historic properties, but is excited to work with all home buyers and sellers. Searle is especially helpful with REO bank owned, short sale, and foreclosure homes, and she holds a Short Sales and Foreclosure Resource certification. She has been honored for her work in real estate as a Green Hero from the U.S. Green Building Council. Clients highlight her local market knowledge, ability to quickly sell homes, and excellent level of professionalism. Owner of ERA Heavener Realty, Jeff Riber grew up in Jacksonville, and is always excited to share the city with new and current residents. 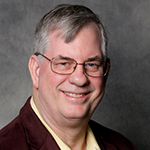 He specializes in Internet marketing for real estate and has been a Realtor since 2007. Riber was been recognized in the Jacksonville Business Journal‘s 40 Under 40 in 2010. His clients say he is a pleasure to work with. They love that he is proactive, prompt to return phone calls and emails, and doesn’t waste time getting down to business. Broker with Fresh Start Realty, Jose Cuetos specializes in REO/bank owned properties, short sales, and general residential sales. 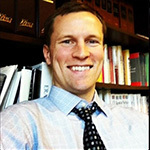 He is an accredited REO agent, certified Community Stabilization Expert, and Freddie Mac specialist. Clients say he is professional and offers timely responses. They’re impressed by his ability to make real estate transactions a smooth and pleasant process, and his willingness to stay in his clients’ price range. A Jacksonville native, Cindy Lee knows the city like only a native can. She has owned her own brokerage, Cindy Lee Realty, since 2014. In addition to superior local knowledge, Lee offers excellent service as she abides by the golden rule and treats others the way she wants to be treated. Clients appreciate her caring nature, ability to keep them informed every step of the way, and the effort she puts into every real estate transaction. Owner of Coastal Homes Realty, Joan Horn offers representation to residential buyers and sellers as well as property management services to landlords. She has more than 15 years of experience and a background in business and marketing that is a large part of her success in real estate. Along with her partner, Horn has sold more than $150 million in real estate and has been ranked among the top 50 Realtors by the Jacksonville Business Journal for the last five years. Horn’s clients say she is simply amazing and a true professional. They’re impressed by how quickly she sells homes above asking price and how diligently she works to help her clients. 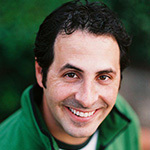 Since 2006, Adam Silk has built a reputation as an excellent Realtor offering hassle free service. He promises to genuinely look out for his clients, helping buyers find what they’re looking for and assisting sellers as they net more money faster. Client say he’s not afraid to give honest answers, offers incredible industry knowledge and patience, and is always happy to offer detailed explanations to questions. Plus, he often goes above and beyond his duty as a Realtor. Mark Good makes it a point to ensure he is serving his clients with the best tools, knowledge, and resources possible, and it shows. 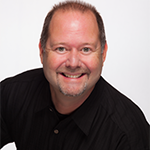 He is trained and certified by the National Association of Expert Advisors, is a Master Certified Negotiation Expert and holds designations as a Graduate of the Realtor Institute, Short Sales and Foreclosure Resource, Certified Residential Specialist, and EPRO Certified Internet Professional. He uses tools that allow him to track customer preferences and buyer leads that get homes located and sold, and constantly monitors the market. For each home he lists, he uses a high resolution camera and wide angle lens to attract buyers. He was added to the Florida Realtor Honor Society in 2011, and won the NEFAR Professional Development award in 2012. Clients love that Good offers fast responses, a willingness to tour multiple homes in a variety of locations, and great organization and contract skills. 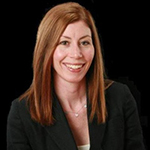 A Jacksonville resident for more than 14 years, Paige Wajsman is knowledgeable in the local market and experienced in Jacksonville real estate. She holds the prestigious Certified Residential Specialist designation and has demonstrated outstanding professional achievement in residential real estate. Additionally, Wajsman is active in the Jacksonville community as a volunteer with the Hadassah organization and the Jacksonville Jewish Federation. Clients say she makes selling homes painless, above asking price, and lightning fast thanks to her enthusiasm and professional but aggressive approach to real estate transactions. Brian Gabree is a U.S. Air Force veteran and has been a resident of Jacksonville since 1990. In 2004, Gabree founded a real estate investment company that honed his ability to find great values and opportunities and negotiate excellent deals. He also has experience in finance as a controller and Chief Financial Officer that gives him great insight into valuation, budgets, and more. He’s earned recognition as a Local Community Top 10 Realtor and a Brokerage Top Producer in 2013. Gabree’s clients point out that he is ethical, knows the market well, and does a great job keeping them well informed. 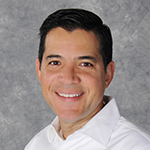 Tony Magana has 10 years of experience in Jacksonville real estate. He specializes in relocation, first time buyers, move up buyers, and investors as well as full service property management. Magana prides himself on offering top notch customer service and constant accessibility. He has been recognized as a Five Star Professional, and holds designations as a Certified Distressed Property Expert and a Certified Investor’s Agent Specialist. 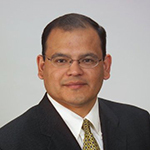 Magana’s clients say he is honest, hard working, and upfront about current market trends. They appreciate that he’s always willing to go the extra mile to get his clients what they truly want. 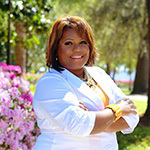 Lisa Duke got started in Jacksonville real estate as a personal investor in 1995, and by 2002, she obtained a real estate license to help others buy and sell homes. Now, she’s the owner of Lisa Duke Realty offering a client first philosophy. Duke is a member of the Florida Association of Realtors, North East Association of Realtors, National Association of Realtors, Multiple Listing Service, and Institute of Real Estate Management. She holds a number of designations, including Graduate Realtor Institute and Certified Distressed Property Expert. 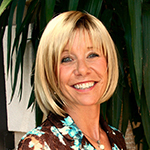 Her clients say she is knowledgeable and a specialist in the San Mateo subdivision. 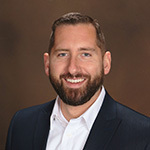 Matt Berrang with INI Realty Investments brings enthusiasm to every real estate transaction and is always happy to answer questions about buying or selling homes in Jacksonville. He works diligently to ensure that he maintains excellent market knowledge and uses the best technology to support and serve his real estate clients whether they’re buying, selling, or investing. Berrang’s clients are amazed at how quickly they’ve sold their homes, and appreciate his guidance as they navigate the process of buying or selling a home. Beatrice Bredeson specializes in military real estate as an active military spouse with a Military Real Estate Professional certificate. She’s an expert in guiding clients through the relocation process and can sell your house quickly and for the right price — or help you find a home to move in to as soon as possible. 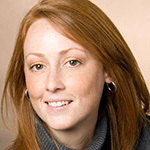 Bredeson places a high value on customer care and she is always eager to work toward perfection for her clients. Clients appreciate how she walks them through the whole process, as well as her encouraging nature and commitment to her clients. 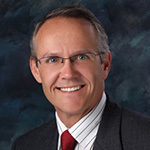 Frank Whibley has been a resident of Jacksonville since 1984 and a Realtor since 2004. Before becoming a Realtor, he worked as a new home sales consultant for a custom home builder — a role that has given him insight into home values. He’s quick to answer his phone and return calls, and he’s made “people before property” his motto. Clients say he is knowledgeable, helpful, and pleasant, and always puts his customers first.